Although sometimes referred to as blister packs, that is an underestimate of the damage this hard plastic packaging can do to your skin (and sanity). 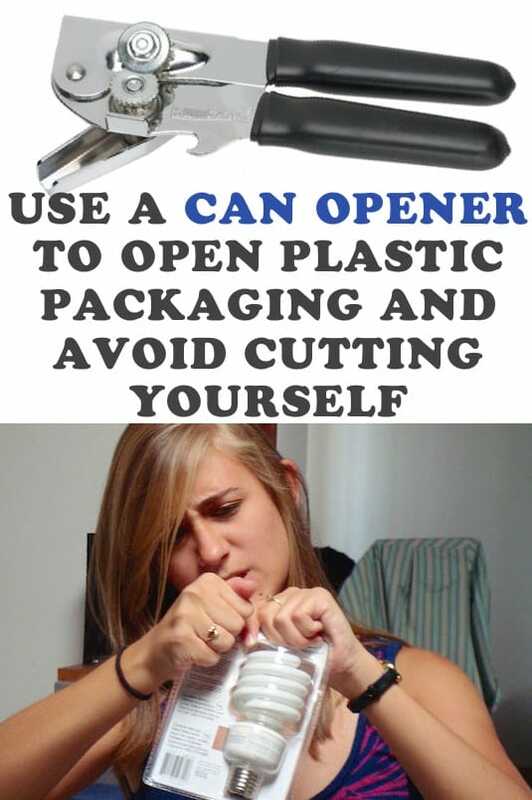 Because they’re just as tough as tin, a can opener is much faster and easier than a pair of scissors! In order to restore a dried out marker, simply fill a small shallow dish with rubbing alcohol and let the tip of your marker bathe in it for a bit. Put the cap back on for about an hour and it should be ready to use. 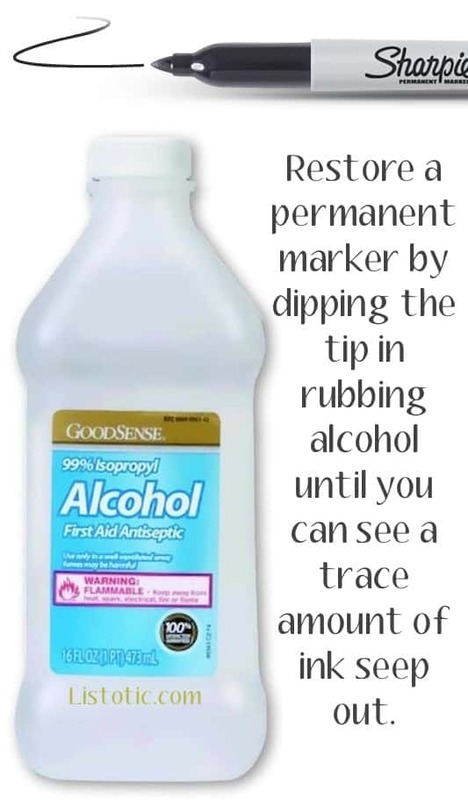 If your marker is completely spent, this may not work, but it should extend the life by re-moistening it. Don’t forget to store your markers with the cap side down so that the ink saturates the tip. 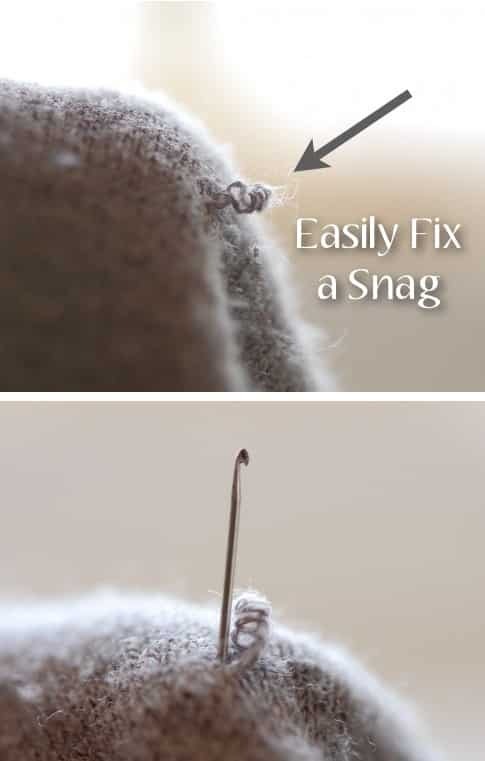 Even just one little snag in a sweater can keep it from ever leaving the hanger, but don’t be so sad just yet. Use a crochet hook to pull the snag through to the other side (yeah, it’s still there, but now on the inside where nobody can see it!). The bigger the knit, the easier this is. A fine knit sweater will require a tiny crochet hook. Go get the full instructions here.